Posted February 25th, 2015 & filed under Headlines. Springtime for Roller Derby in Madison! Posted February 20th, 2015 & filed under Headlines. Posted February 19th, 2015 & filed under Headlines. Posted February 17th, 2015 & filed under Headlines. Posted February 13th, 2015 & filed under Headlines. 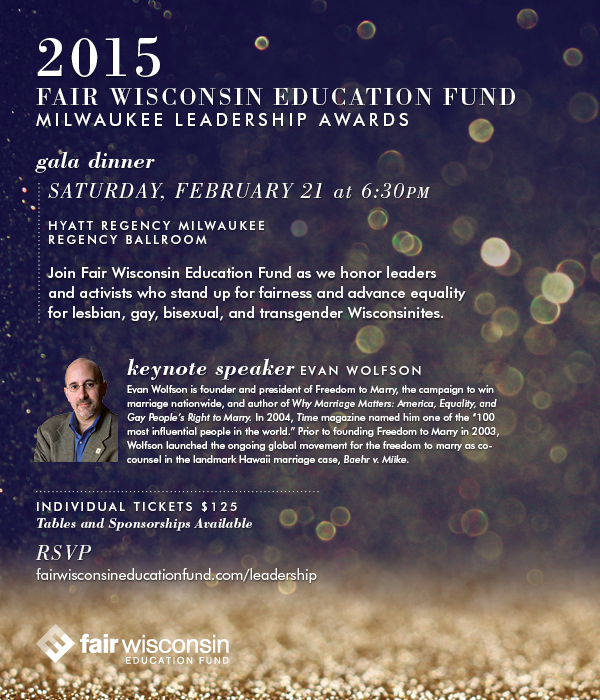 RSVP today for Fair Wisconsin Education Fund’s biggest event of the year! StageQ, Inc., partners with the creators of Are We Delicious? Posted February 2nd, 2015 & filed under Headlines. You are currently browsing the Our Lives blog archives for February, 2015.